Each caregiver must meet the state of Florida credentialing requirements with AHCA (Agency for Healthcare Administration). Each caregiver must pass a level 2 national background screening. Each caregiver must have recent positive references from previous clients and agencies that they’ve worked for. Each caregiver must have a valid driver’s license and dependable transportation. Each caregiver must be certified in CPR. 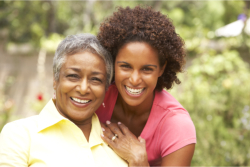 Each caregiver is professionally insured and bonded. At Heavensent Home Healthcare, we give you the option of interviewing your caregiver prior to the start of home care services. Give us a call today at 1-888-750-6846 and we will set up a date and time that’s convenient for you. You can also set an appointment through this site and we will contact you.